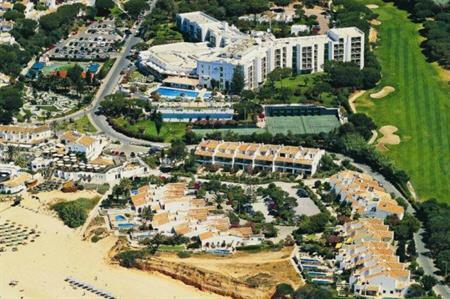 Hotels in the Algarve have unveiled renovations and plan further refurbishments this year. Sheraton Algarve Hotel: Located in Albufeira, the Starwood Hotels property commenced the first stage of a phased renovation process in November, which which will incorporate guest rooms, public areas, conference facilities and food and beverage venues. The venue is expected to reopen in June. Alongside this, an extension is being added to the property, providing seventy-eight new luxury suites, along with a new Italian restaurant, a state-of-the-art health spa and underground parking facilities, with completion scheduled for June 2016. Dona Filipa Hotel: Operated by JJW Hotels & Resorts, the five-star venue in Vale do Lobo was the subject of an extensive renovation plan in 2014, which included an overhaul of all the public areas, including the lobby, lounge and bar, along with all rooms and suites. The hotel has 154 rooms and four conference rooms, catering for up to 140 guests. Hotel Jupiter: Located in Praia da Rocha, the four-star property is closed for refurbishment and is due to reopen at the end of March. There are 183 rooms and suites and five conference rooms hosting up to 300. Renovations are being carried out to all the hotel rooms, to include new furniture and décor.